Ohmygoodness! Ohmygoodness! I have been waiting over a week to post this card so the birthday girl wouldn’t see it before she received it. I totally fell head over heels for this set “Fetching Friendship”, a new release from Newton’s Nook Designs. This adorable doggy was perfect to make a card for an aunt who has had some lovable canine furbabies through the years. Oh! This is so much fun!! Love how you added the inside as well! This is super cute! I love the colors you used and the cute yellow scarf on the pup! 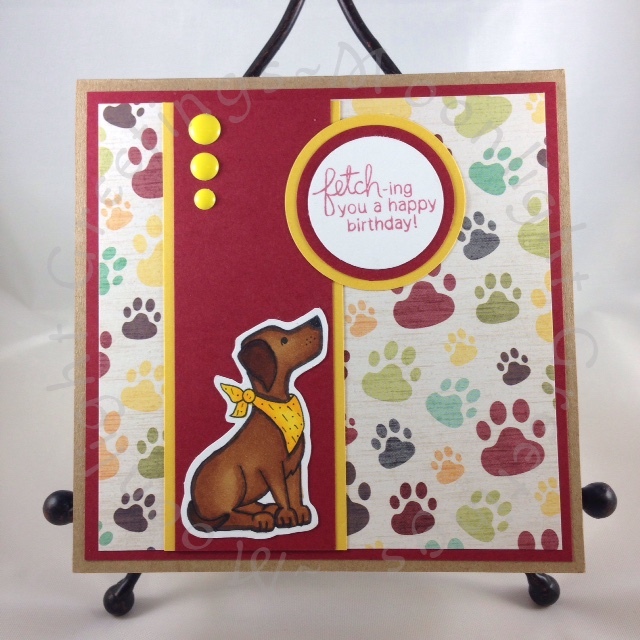 Thanks so much for playing along with our inky paws challenge at Newton’s Nook Designs!